Please call to make reservations before proceeding to make a booking online. Payments can be made online or in person. Clients should give at least a 24 hour notice to cancel. Lessons may be cancelled the same day due to weather. 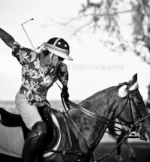 All riders must wear helmets and sign two waivers, one for Dillingham Ranch and one for Hawaii Polo Academy. Dillingham Ranch has a large sand riding and smaller dressage arena, a large round pen, multiple open grass fields, a practice polo field and numerous areas for trail riding. Please advise instructor about any preexisting medical concerns or conditions.